Andrew’s made a great recovery from a serious accident when he was dragged under a truck and it looked as if he might struggle to walk again. He returned to racing a year ago and hasn’t changed his racing style: Hammer the bike leg and then hold on as much as possible on the run. By winning IM Louisville one day after Kona 2017 he secured a Kona slot and there will be a lot of eyes on his return to Kona. As a front pack swimmer he is quite likely to take the lead from Josh Amberger early on the bike. He has indicated before the race that he wants to light up the bike course similar to when he rode the first sub-4 IM bike leg in Texas. Andrew has been setting bike course records in his last four Ironman races, and I’m sure that he wants to continue that series in Kona even if race day conditions have a huge impact on the Kona bike times. 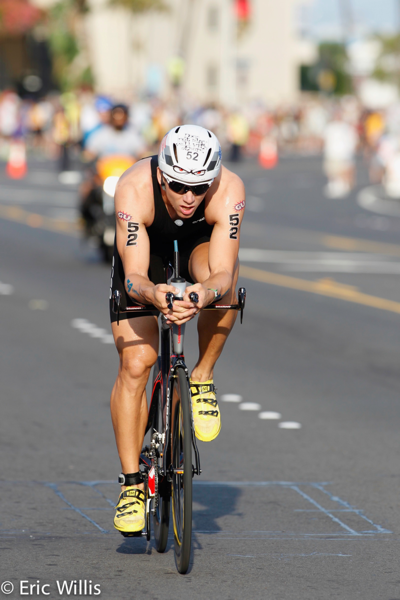 With a fast bike leg Andrew might even be able to hold off the uber-bikers who are slower swimmers until T2, but in order to be competitive in Kona, he will also need a great improvement on his run – so far his best marathon is a 2:58 from Florida 2013. But he’ll be aiming for a new PR on the marathon, and a sub-3 marathon would probably see him finish in the Top10. Just like Lionel, Andrew will be fighting hard, so we might see a late explosion – or a spectacular break-through performance.